The expedition this year will be a 4WD trip concentrated primarily in Northern Arizona and Southern Utah. The locations we visit will be an interesting mix, some of which are on Navajo Nation land and some of which will be on public land. Some of the trip will involve driving through the destinations and some will involve hiking. Some of the destinations will require that we obtain special permission, and in some cases, we will need a guide. Regardless of the location, the scenery will be spectacular. Trip length will be about 10-14 days. Almost all of the locations will be remote, meaning that no facilities will be available. 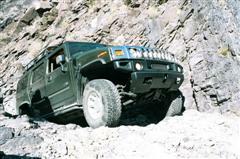 While not every trail will require 4WD, there are parts that will. The purpose of this post will be to gauge interest. When we have enough people who express a desire to go, we will work out the details, especially the length of the trip and the dates. For weather considerations, the trip will need to be in the late April or May time frame. You may join the trip at any point, if you wish. Below are an initial listing of locations. The areas on public land are usually open. Navajo Nation land rules however, have been changing over the years and this may have an impact on what we are able to do. All of this will be resolved once we have identified those who express an interest in making the trip. Hunt’s Mesa is located in Monument Valley on Navajo Nation land. If you are a western movie fan, especially John Wayne, you have seen this area many times. It was a favorite shooting location for director John Ford. MV is spectacular to see from the valley floor, but experiencing it from the mesas above is equally so. Its kind of like seeing the Grand canyon from the rim and then seeing it while rafting the Colorado River. Fable Valley is located near Beef Basin (Utah). It is a very remote location requiring a hike of about 5 miles. Tucked away in the recesses of the hills are some excellent Anasazi ruins, seen by few visitors. The main trail in and out of FV is located on the valley floor, from which many of the ruins can be seen. This will be a full day adventure. Beef Basin will be the base camp from which we explore Fable Valley and the numerous ruins actually located in Beef Basin. BB is in a very remote area, located south of Canyonlands National Park. Using the shortest route possible, it is a little over 100 miles of travel getting to and returning back from Beef Basin. Aside from the incredible scenery, Beef Basin was once home to ancient Indian tribes and the ruins of their dwellings exist today. Unlike our trips to the Navajo Nation of the past, this area is on public land and guides are not necessary to explore these sites. As sometimes happens, after our last trip to BB, I was able to find some terrific maps of the area which showed the location of some wonderful Anasazi ruins, that I did not have during the trip. This will make for some impressive finds. AP is located on a mesa above Lake Powell with a view of Gunsite Butte. This can be either a campsite for one evening or a two day rest stop. The picture below says it all!! CDC contains some very well preserved Anasazi ruins with a fascinating history. In the past, we have been able to camp in the Canyon, but I have heard stories that this may have changed. We will explore this further as we finalize the group. We will most likely make some changes to this itinerary, especially if we are able to have Monte Wells join our tour. In order to make it to some of these locations, we will need to apply for permission and, in some cases, arrange for a guide. So, we will need to know by early March if you are interested. Post up!!! I've been to many of those places... not all. Should be an absolutely amazing trip.